As the Hubway bicycle-sharing system expands in Boston and beyond, an enthusiastic user explains his bare head. Bicyle riders on street in Copenhagen. GETTING TO WORK ON TIME is a struggle with my 40-minute T commute from Back Bay to Dorchester. There are disabled trains and other delays, not to mention the rush-hour lack of personal space. But in late summer, a Hubway bike-sharing station opened up at the JFK/UMass T stop near my destination. There has been a Hubway conveniently placed just outside my Mass. Ave. apartment since last year. So now I can hop on a bike and be at work in 20 minutes, and this is the option I take most days. Biking is convenient, fun, and gets me outside and moving. And I do it without a helmet. When I was younger, I wore one all the time. Even before I could mount a bicycle seat, my parents would put helmets on my sister’s and my heads while they ran our double stroller down the bike path in Northampton. I remember the two of us banging our indestructible heads together, laughing at how it didn’t hurt. Since I first learned to pedal, the house rule was that I always wear a helmet. I stopped only when I moved to Boston for college. Twenty-one now, I don’t even own a helmet anymore. (I also don’t have my own bike.) I acknowledge that a helmet can protect your head, but I’ve weighed the risks and the inconvenience of lugging one around and decided I can do without. I travel light, and a helmet’s size is a significant consideration for me. I’m always commuting with my messenger bag, inside of which is my ridiculously thin and light laptop and ultra-slim iPhone. I don’t even bother to carry a tiny iPod anymore, as my iPhone holds all my popular playlists and further consolidates my load. I don’t want to be that guy who walks around with his bike helmet strapped to his bag all day. I often meet friends after work, when a helmet would be an unwelcome tagalong. On weekends, I will spontaneously take a Hubway bike to the other side of town. Or I may decide to bike home from a nightclub because there are no taxis at 2 a.m.
A local start-up called HelmetHub is working on kiosks to be placed near bike-sharing stations that dispense rental helmets. Returned helmets will be sanitized and inspected before being placed back in circulation; you could also keep and buy the helmet if you want. The plan sounds OK, but I doubt I’ll take the extra time in the morning to rent some headgear. I think we bicyclists need innovation of another kind: the development of helmets that are considerably less bulky and are actually attractive. I have never been in a bike accident nor experienced a close call, though I know what has happened to less fortunate bikers. I try to be cautious: I don’t fly through intersections, and I always look both ways. I believe the helmet has limitations and won’t protect me in many kinds of accidents. 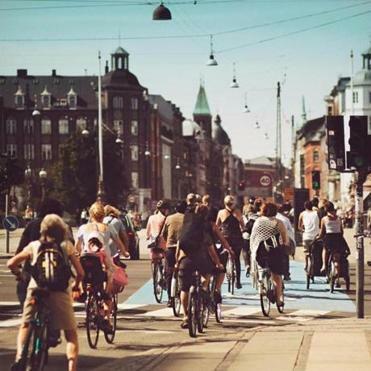 I see many bicyclists, especially Hubway users and twentysomethings, traveling around Boston without headgear, and reports say that in many bike-focused European cities like Copenhagen, most cyclists go without helmets. I recognize that those like me who opt out of helmets are often frowned upon in the United States, but we all make decisions on which health and safety recommendations to follow and which to ignore. How many of us apply sunscreen every day? I’m surprised some cities worldwide actually require that adult bicyclists wear helmets. As I attempt to visualize this happening in Boston, I wonder what would be next. Walking across the street could end up the biggest danger of 2040, with Google’s driverless cars racing around town. Should I not leave home without a bomb suit? Nick Olender is a sales and account executive at the start-up TapWalk and a student at the D’Amore-McKim School of Business at Northeastern University. Send comments to magazine@globe.com.